Reggae’s most transcendent and iconic figure, Bob Marley was the first Jamaican artist to achieve international superstardom, in the process introducing the music of his native island nation to the far-flung corners of the globe. Marley’s music gave voice to the day-to-day struggles of the Jamaican experience, vividly capturing not only the plight of the country’s impoverished and oppressed but also the devout spirituality that remains their source of strength. His songs of faith, devotion, and revolution created a legacy that continues to live on not only through the music of his extended family but also through generations of artists the world over touched by his genius. Robert Nesta Marley was born February 6, 1945, in rural St. Ann’s Parish, Jamaica; the son of a middle-aged white father and teenaged black mother, he left home at 14 to pursue a music career in Kingston, becoming a pupil of local singer and devout Rastafarian Joe Higgs. He cut his first single, “Judge Not,” in 1962 for Leslie Kong, severing ties with the famed producer soon after over a monetary dispute. In 1963 Marley teamed with fellow singers Peter Tosh, Bunny Livingston, Junior Braithwaite, Beverly Kelso, and Cherry Smith to form the vocal group the Teenagers; later rechristened the Wailing Rudeboys and later simply the Wailers, they signed on with producer Coxsone Dodd’s legendary Studio One and recorded their debut, “I’m Still Waiting.” When Braithwaite and Smith exited the Wailers, Marley assumed lead vocal duties, and in early 1964 the group’s follow-up, “Simmer Down,” topped the Jamaican charts. A series of singles including “Let Him Go (Rude Boy Get Gail),” “Dancing Shoes,” “Jerk in Time,” “Who Feels It Knows It,” and “What Am I to Do” followed, and in all, the Wailers recorded some 70 tracks for Dodd before disbanding in 1966. On February 10 of that year, Marley married Rita Anderson, a singer in the group the Soulettes; she later enjoyed success as a member of the vocal trio the I-Threes. Marley then spent the better part of the year working in a factory in Newark, DE, the home of his mother since 1963. Upon returning to Jamaica that October, Marley re-formed the Wailers with Livingston and Tosh, releasing “Bend Down Low” on their own short-lived Wail ‘N’ Soul ‘M label; at this time all three members began devoting themselves to the teachings of the Rastafari faith, a cornerstone of Marley’s life and music until his death. Beginning in 1968, the Wailers recorded a wealth of new material for producer Danny Sims before teaming the following year with producer Lee “Scratch” Perry; backed by Perry’s house band, the Upsetters, the trio cut a number of classics, including “My Cup,” “Duppy Conqueror,” “Soul Almighty,” and “Small Axe,” which fused powerful vocals, ingenious rhythms, and visionary production to lay the groundwork for much of the Jamaican music in their wake. Upsetters bassist Aston “Family Man” Barrett and his drummer brother Carlton soon joined the Wailers full-time, and in 1971 the group founded another independent label, Tuff Gong, releasing a handful of singles before signing to Chris Blackwell’s Island Records a year later. 1973’s Catch a Fire, the Wailers’ Island debut, was the first of their albums released outside of Jamaica, and immediately earned worldwide acclaim; the follow-up, Burnin’, launched the track “I Shot the Sheriff,” a Top Ten hit for Eric Clapton in 1974. With the Wailers poised for stardom, however, both Livingston and Tosh quit the group to pursue solo careers; Marley then brought in the I-Threes, which in addition to Rita Marley consisted of singers Marcia Griffiths and Judy Mowatt. The new lineup proceeded to tour the world prior to releasing their 1975 breakthrough album Natty Dread, scoring their first U.K. Top 40 hit with the classic “No Woman, No Cry.” Sellout shows at the London Lyceum, where Marley played to racially mixed crowds, yielded the superb Live! later that year, and with the success of 1976’s Rastaman Vibration, which hit the Top Ten in the U.S., it became increasingly clear that his music had carved its own niche within the pop mainstream. As great as Marley’s fame had grown outside of Jamaica, at home he was viewed as a figure of almost mystical proportions, a poet and prophet whose every word had the nation’s collective ear. His power was perceived as a threat in some quarters, and on December 3, 1976, he was wounded in an assassination attempt; the ordeal forced Marley to leave Jamaica for over a year. 1977’s Exodus was his biggest record to date, generating the hits “Jamming,” “Waiting in Vain,” and “One Love/People Get Ready”; Kaya was another smash, highlighted by the gorgeous “Is This Love” and “Satisfy My Soul.” Another classic live date, Babylon by Bus, preceded the release of 1979’s Survival. 1980 loomed as Marley’s biggest year yet, kicked off by a concert in the newly liberated Zimbabwe; a tour of the U.S. was announced, but while jogging in New York’s Central Park he collapsed, and it was discovered he suffered from cancer that had spread to his brain, lungs, and liver. 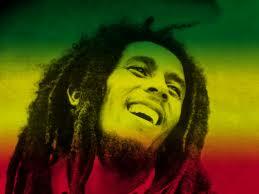 Uprising was the final album released in Marley’s lifetime — he died May 11, 1981, at age 36. Posthumous efforts including 1983’s Confrontation and the best-selling 1984 retrospective Legend kept Marley’s music alive, and his renown continued growing in the years following his death — even decades after the fact, he remains synonymous with reggae’s worldwide popularity. In the wake of her husband’s passing, Rita Marley scored a solo hit with “One Draw,” but despite the subsequent success of the singles “Many Are Called” and “Play Play,” by the mid-’80s she largely withdrew from performing to focus on raising her children. Oldest son David, better known as Ziggy, went on to score considerable pop success as the leader of the Melody Makers, a Marley family group comprised of siblings Cedella, Stephen, and Sharon; their 1988 single “Tomorrow People” was a Top 40 U.S. hit, a feat even Bob himself never accomplished. Three other Marley children — Damian, Julian, and Ky-Mani — pursued careers in music as well.